My space is 30x40. I have a delta contractor's table saw, drill press and a small benchtop bandsaw. A small collection of cheaper routers, circular saws etc. Thank you for the welcome! Ive been looking for free wood! Will you deliver? Lol nice haul! 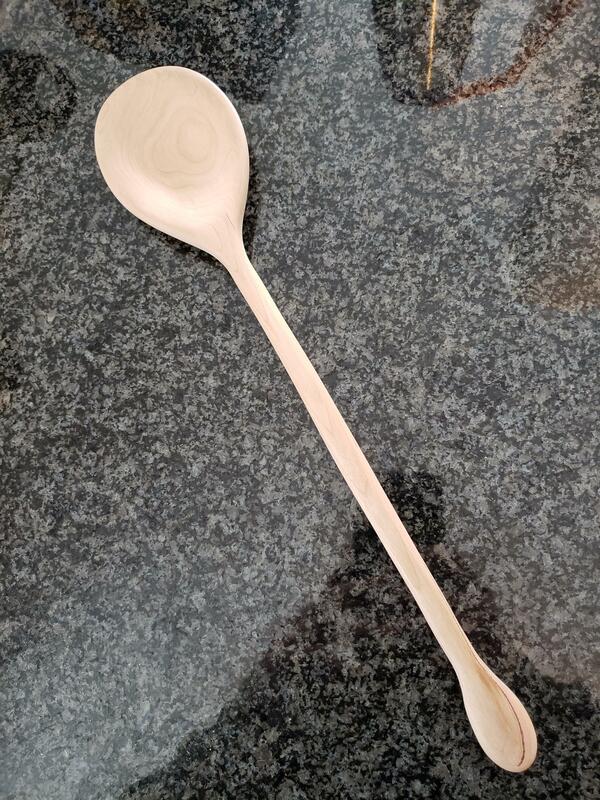 Hi i made my wife a spoon last week. After soaking in in mineral oil for 4 hours we let it sit for 3 days. She used it to sautee some mushrooms and she washed it the next day (by hand) it started to crack on the end, what gives? Not enough oil? Wrong wood choice? Its made of cherry. How should i finish my spoons so this does doesnt happen again? Is it me or my bandsaw? Is there a good rule of thumb for how tight the blade should be?